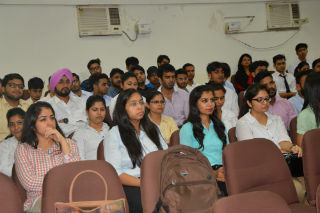 A guest lecture was organized for PGDM –IB students(1st and 2nd Year) on “Goods and Service Tax” by Mr Chandan Agarwal (Head-Taxation,Dabur India Pvt Ltd) on 27th July 2017. He has shared the importance and reason for implementing GST by Govt of India. He told about the things which are exempted from the GST like Diary products and necessities. He also shared the latest taxation pattern in comparison with the previous one. 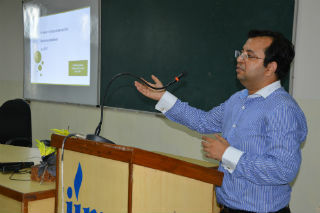 The lecture was quite useful for the students and they learnt a lot about the GST.